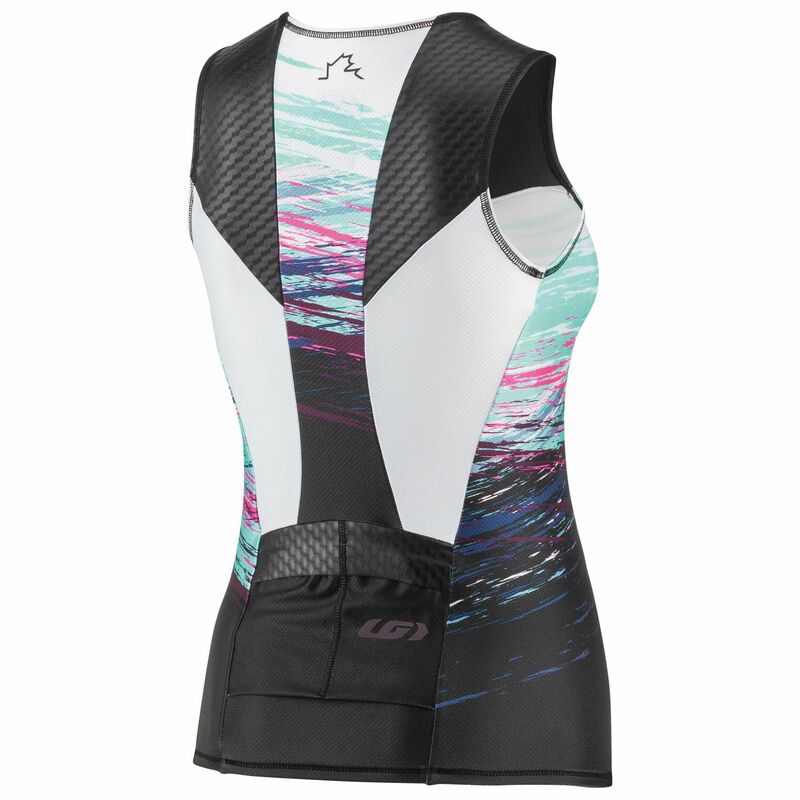 The women's Course Vector Tri Sleeveless jersey starts working for you the moment you slip it on. 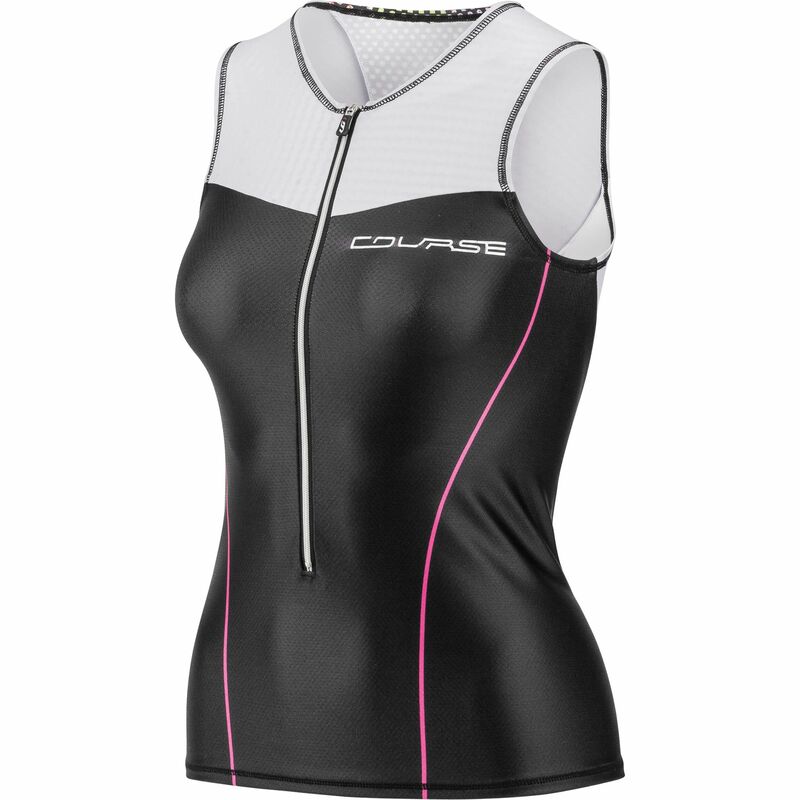 Designed to prevent irritation around the neck and the arms, it also reflects UV rays to keep you from overheating. 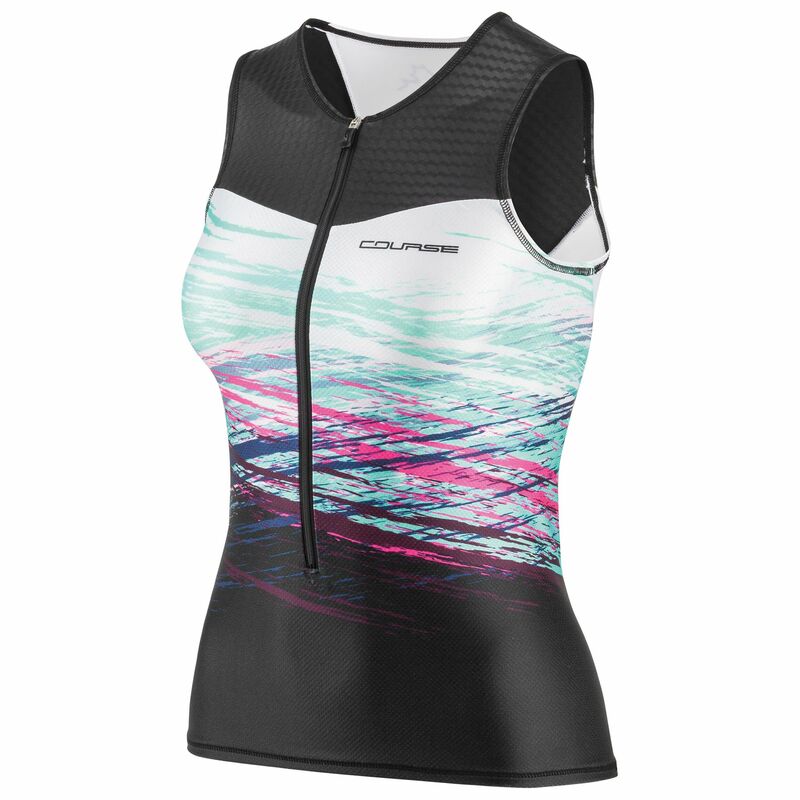 We’ve concentrated on three principal aspects, aerodynamics, ventilation and flexibility, so that you can concentrate on three things: swimming, riding, running.